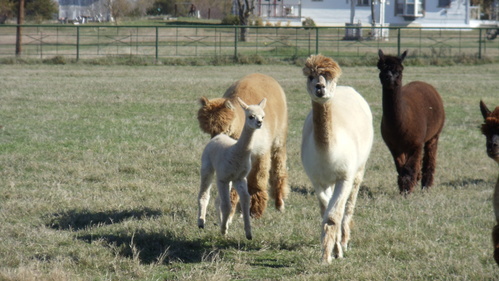 Alpacas of Merit is an alpaca farm located in Celeste, Texas owned by Raymond & Pam Livezey. The Alpaca Lifestyle: Conformation and Genetics! Alpacas of Merit is committed to raising healthy top quality huacaya alpacas with a particular focus on correct conformation, their excellence in color and luxurious fiber characteristics. As fiber enthusiasts who value the art of handcrafted items we understand the importance of breeding for quality fiber. 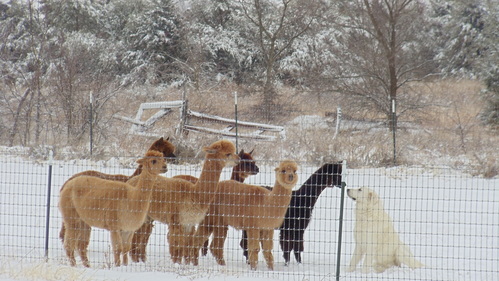 Our alpacas represent the best of bloodlines. As concerned breeders we also we also understand the importance of reducing health risk and breeding for the healthiest alpacas possible. Alpacas of Merit is nestled in a agricultural community of Hunt County, Texas. Our easy to find ranch is conveniently located between McKinney and Greenville, Texas, just minutes from the D/FW Metroplex. 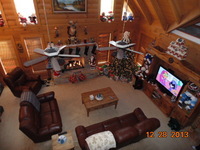 Our 23 acre ranch boasts a state of the art alpaca barn. Our pastures are lush and are fenced with no climb 2x4 wire which provides maximum safety for the alpacas. 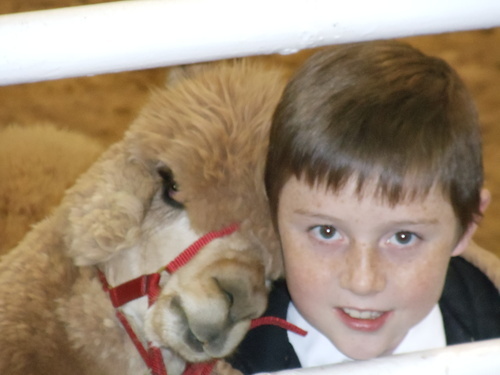 Alpacas are a lifestyle of choice with benefits and great opportunities for the whole family. Give us a call and come see our farm! We would like to share our alpaca journey with you, outline the benefits of owning alpacas, and invite you to become part of our alpaca lifestyle! We have alpacas at all price points, let us put a package together for you. As part of our business plan, we are in the business to sell alpacas; therefore, all reasonable offers are considered. Financing considered with 25% down payment and contract. Alpacas of Merit provides financing up to 24 months with 0% interest. We do accept credit and debit cards as well. 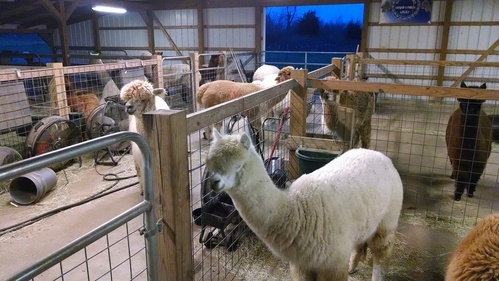 Alpacas of Merit offers boarding for folks that are getting their farm ready at a rate of $7.50 per day. Discounts apply to multiple animals and for the time you spend helping with the care of your investment.